We don’t have Cinnabon roll in Italy and that is such a shame!! The only thing I did differently was to put half dose of sugar in the filling, I have to say it was the perfect choise since it’s already really sweet! 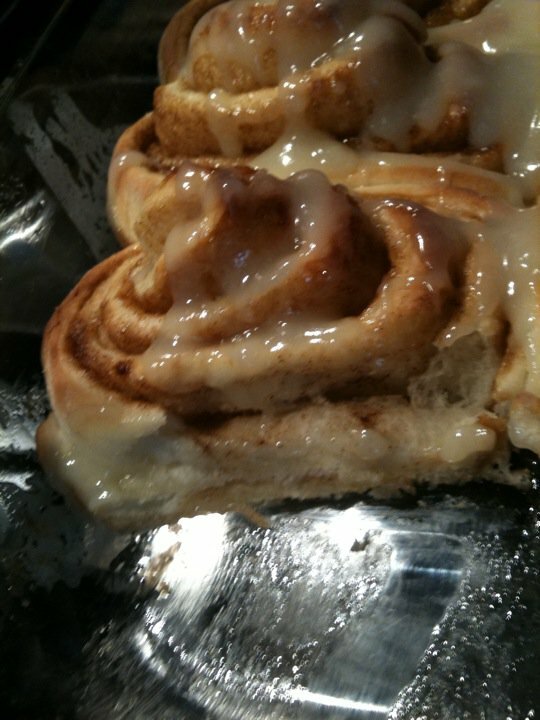 They were really good, the dough tasted the same than Cinnabon roll, the frosting was close to the original one, but the filling didn’t convince me…. 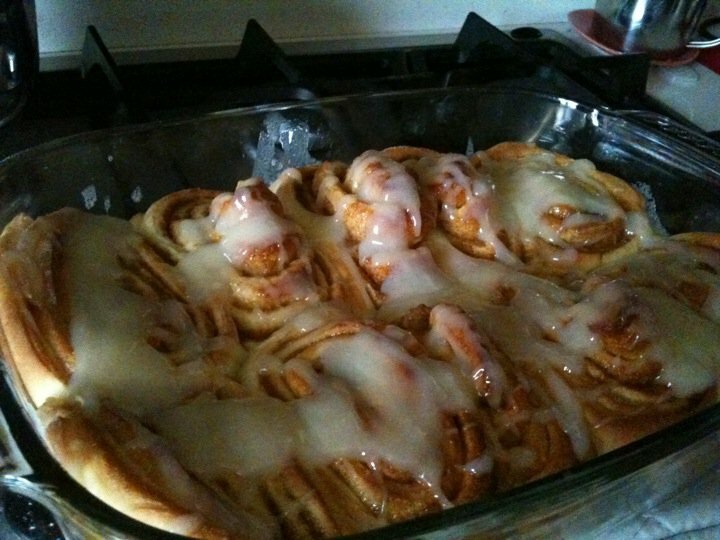 The real one is more “creamy” inside, it seems like there is some chocolate….but I haven’t find any recipe with chocolate so i tought I was wrong…but next time I’ll melt a piece of chocolate with the butter and I’ll spread it all over the dough before adding the cinnaon/sugar thing. About a month agò I found out an amazing organic store, you should know how much I love organic food…so I had to go in and buy something! 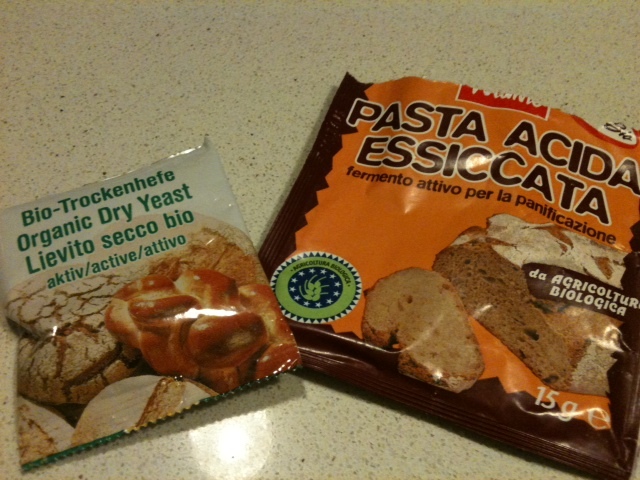 Between all the stuff I bought, there was a pack of farro flour (spelt) and dried “mother yeast”. Farro is an ancient grain which as a lot of healt benefit…(check it out on this link!) but the thing that I love most is the taste, even though it has all the nutrients of the whole wheat, it tastes so much better!! So it’s a good compromise between health and flavour. 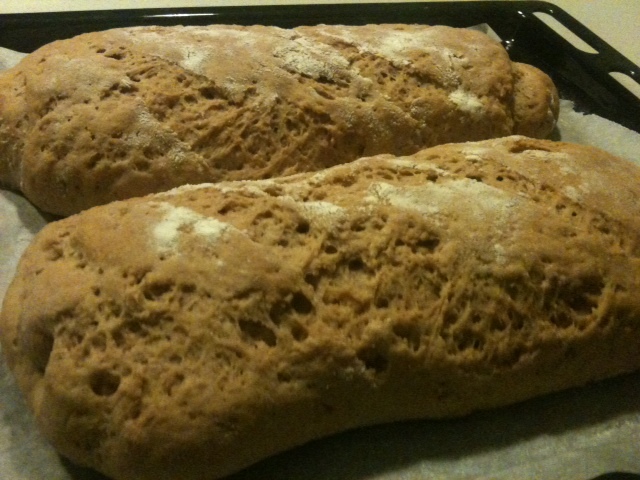 I added just the 25% of strong bread flour. Mix togheter the dry ingridient and then add slowly the water . Put the dough in a bowl and cover. Place a pan of hot water in the bottom of the oven and put the bowl with the dough on the rack in the middle od the oven. 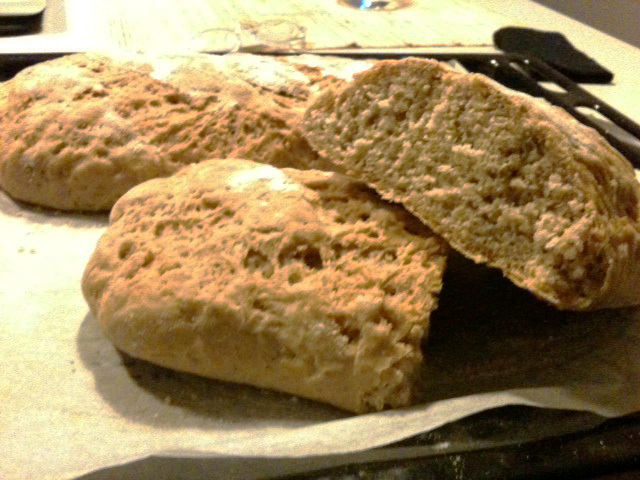 Sprinkle some flou on a clean surface and knead the dough again for a couple of minutes. 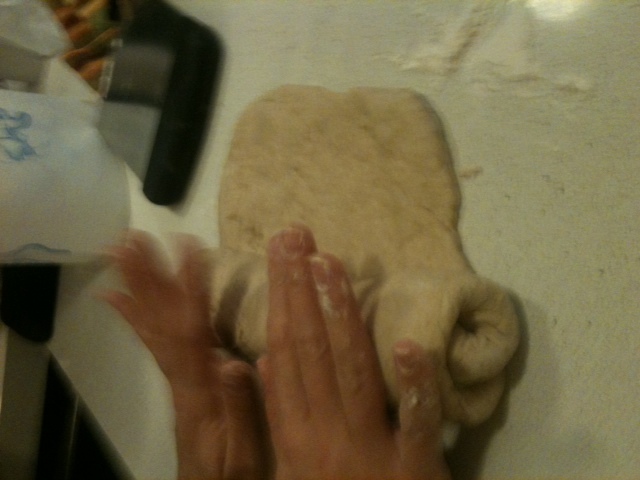 Divide the dough in two, strech it out and roll it up. Sprinkle some flour on the rolled dough and place on a parchment paper, cover and place again in the oven. Let it rise for a couple of hours. It has triple!!! !